Ok, time to fess up. If I was forced to choose my favorite wing sauce at Buffalo Wild Wings, spicy garlic would be it. The BW3 website says the sauce is ‘spicy and garlicky’ and that’s exactly what this copycat of the restaurant sauce is. Same great flavors, same great heat. Lick-your-fingers good. I so love this copycat Buffalo Wild Wings spicy garlic wings sauce. It’s still Buffalo-sauce like, but with a nice twist making it just different enough but still familiar. The sauce keeps for a bit, so I didn’t hesitate to double the recipe. This sauce is good on grilled chicken or pork wings too. Also try my copycat of Buffalo Wild Wing’s Parmesan garlic and Thai curry wings. Combine all but the yolk, water and cornstarch in a medium saucepan over medium-high heat. Bring to a boil and reduce to a simmer. Simmer for 5 minutes then remove from heat and let cool for 10 minutes. Whisk together the egg yolk and water. Whisk in the cornstarch until dissolved. Slowly whisk the mixture into the saucepan. 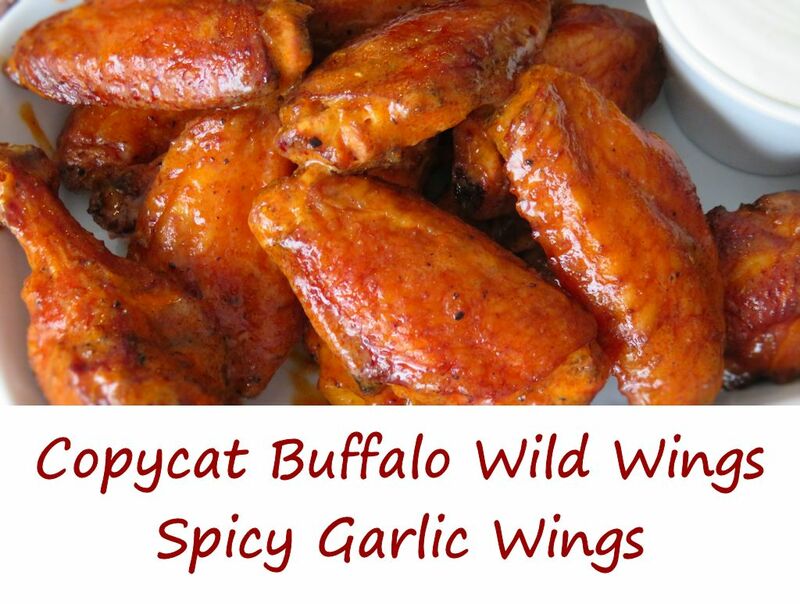 This entry was posted in Chicken Wings and tagged buffalo wild wings, chicken wings, copycat, Copycat Buffalo Wild Wings Spicy Garlic Wings, recipe, spicy garlic by Mike. Bookmark the permalink.